Going on vacation is always so much fun, but getting back is so much work! All the laundry, the work, the cleaning, and everything else. Plus, I am actually heading out on another trip this weekend. My 9 year old and I are headed back to the Mid-West to see family for a week. So much for a lazing and relaxing summer! A little worried about how much I should get done ahead of time for my husband. I hate to see what he is going to do for a full week of meals on his own! But just because people are busy, doesn’t mean there isn’t time for desserts! 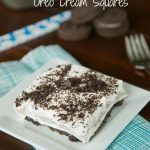 Especially no bake desserts, that come together in under 20 minutes. Did you know today is National Cheesecake Day? I would have missed this day, if a great group of bloggers didn’t give me a heads up. Roxana from Roxana’s Home Baking, coordinated this event for today, and oh my are you in for a treat! 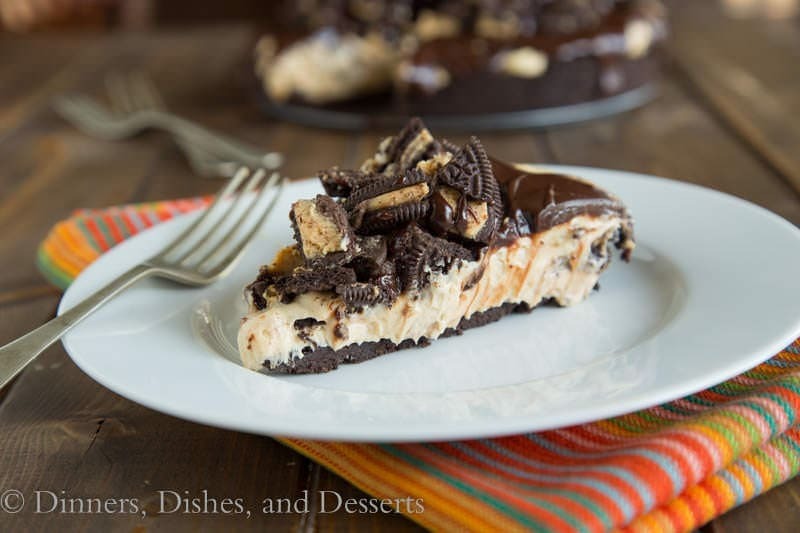 There are a ton of bloggers today who are all sharing some amazing different cheesecakes! I can not wait to browse all of them, and get in the kitchen to start making more cheesecakes! Given the heat of the summer, I did not want to heat up my house for over an hour making a traditional cheesecake. So I decided to try a no bake cheesecake. Have you tried the new peanut butter cup Oreo’s? As soon as I saw them at the store, I knew I had to try them. 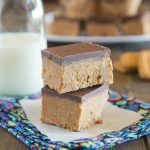 They seemed like the perfect thing to pair with a peanut butter cheesecake, because we all know that chocolate and peanut butter go so well together! 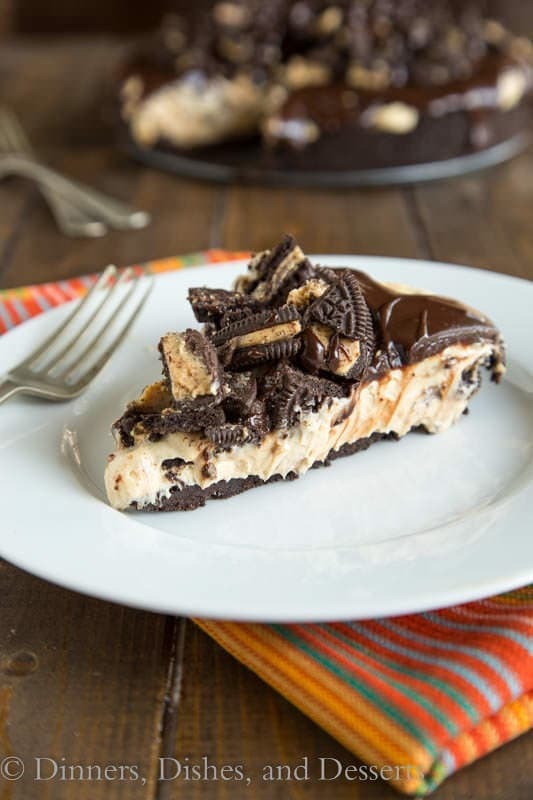 I used regular Oreo’s to make a crust, then whipped up the peanut butter cheesecake filling, where a few peanut butter cup Oreo’s were crushed and mixed in. After it set up for awhile, I topped with with a chocolate ganache, and the rest of the Oreo’s. 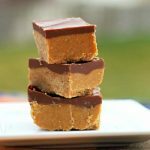 Talk about peanut butter and chocolate heaven. So creamy, rich, and delicious! 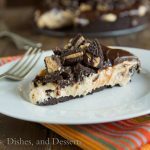 A creamy no bake peanut butter cheesecake inside an Oreo crust, topped with chocolate ganache and peanut butter cup Oreo's. Using a food processor grind the Oreo's into fine crumbs. 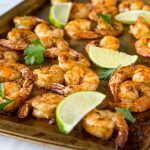 Mix with the melted butter. Press firmly into a 9 inch spring form pan. Set in the freezer while you work on the filling. 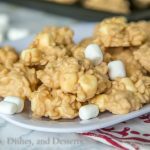 In a stand mixer whisk heavy cream until you get soft peaks. Add powdered sugar and vanilla, and mix until stiff peaks. Place in a separate bowl, and set aside. In the stand mixer bowl, using a paddle attachment, beat together peanut butter, cream, cheese, and sugar until well combined. Using a spatula, fold in the whipped cream. Once well mixed, fold in the 1 row of peanut butter cup Oreo cookies. Pour into prepared crust. Set in fridge for 1 hour. In a microwave safe bowl heat 1/2 cup heavy cream for 30-45 seconds until hot but not boiling. Add chocolate, and mix until smooth. Pour over the top of the cheesecake. Top with the rest of the crushed Oreo's. Let sit for 4 hours before slicing to serve. 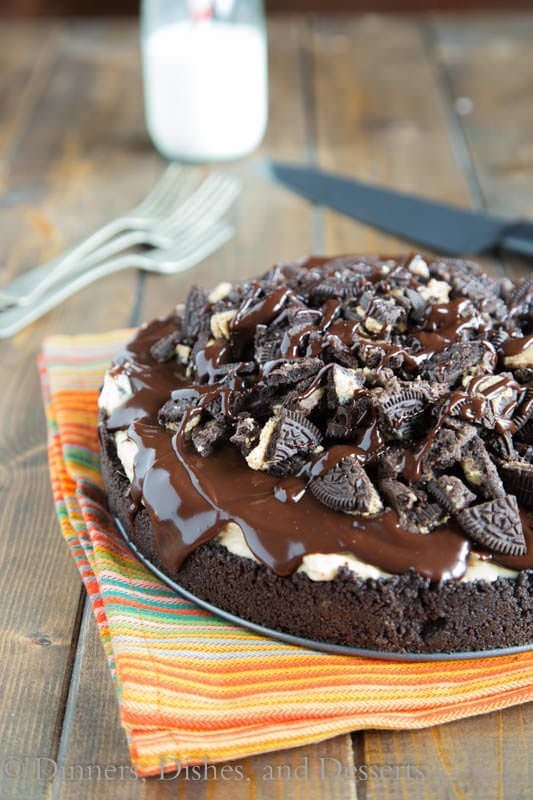 Check out the list of amazing Cheesecakes around the web today! 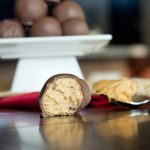 Peanut butter and chocolate? Yes, please! PINNED! 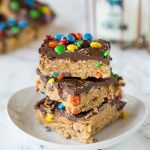 I can’t believe this is no-bake! Amazing! 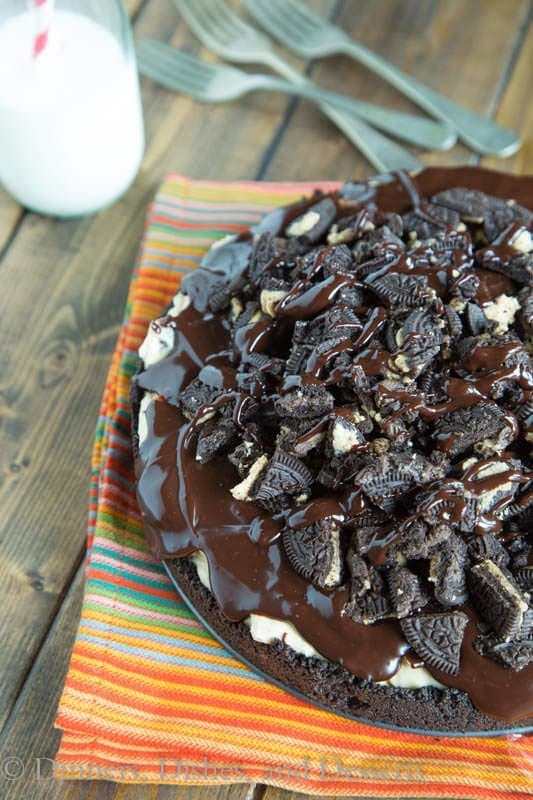 This looks so good and a great use for those oreos. Wish I could have a bite! I have seen the peanut butter oreos but have no tried them, yet. Sort of afraid I may not be able to stop eating them! Hope you had a great time on your family vacation and have safe travels when you visit family. So happy you found the time to make this impressive cheesecake! Yeah, they are dangerous!! I had to go through more than one package before this actually got made….oops! This is totally making my stomach grumble! LOVE! This looks so amazing! Pinned!! 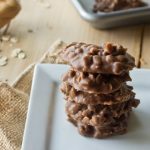 No-Bake and ready in 20 minutes?! This is pretty much the perfect dessert! Pinning immediately! Hope you have a nice time in the midwest – I’m heading to St. Louis this weekend to see my family! Happy Cheesecake Day! Thanks Cate! I hope you have a great weekend! Ermagerd it’s imprisoned in chocolate!! Ok, so I’ve been dying to say that 🙂 Seriously though. You rock. Oh, I love you Aimee! Thanks! 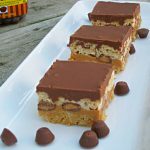 This looks like it’s just full of chocolate and peanut butter goodness! Have a blast in Iowa! We just sold my parents’ house so it’s more likely to find us in Denver than in Ames now! Can’t say I’m complaining! I love how both you and Anna have the same title for your cheesecakes yet they are so different and both so tempting! 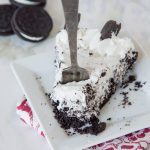 I love that Oreo topping, too! Scrumptious dessert! Oreos and peanut butter really do belong together. 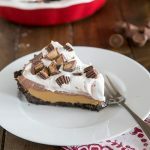 This looks incredibly delicious, I don’t think I’d be able to stop at just one slice! This is my kind of cheesecake! It looks incredible! Wow, wow, wow, what a stunning cheesecake!!! 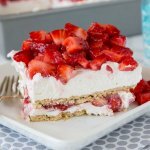 No bake cheesecake? Well that’s dangerous! Esp with it being pb+choc. OhEmGee, I just love the PB Cup Oreos!! This looks out of this world fantastic. I just want to dig in with a fork! My classmate natalia with her mother came home during last holidays and ufortunately my mom was not there. Thaank god i know well to make shrimp biryani and yes i did a very good job but the problem was i have no idea on how to end the treat and finally i arrived here because you have very good visual description on how to make peanut-butter cheesecake.But I did a small twist here I added 1/2 tin condensed milk and 2 gm cardamom powder and white chocolate mix with grated coconut for more taste. I came up with three choices and Yes, I finally made yours and was a good sucess. 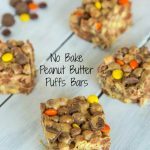 I will share with other two recipe which i found is a good one. Gorgeous pictures. 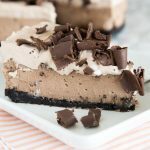 Definitely your no bake peanut butter cheesecake is awesomeness! 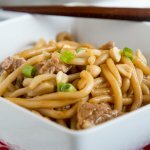 This is a great recipe Erin, as you know I made it a short while ago and it was lovely, in fact have made it again since. Thx for sharing!